in my SQL Developer, it is not showing the Short Cut Keys feature. So could anyone help that how can i get this feature in Preferences Pane. I can’t seem to map anything to “Zoom in” or “Zoom out” when viewing a Relational model. It’s a real pain having to always find and click the icons with a mouse instead of just using a keyboard shortcut. None of the Categories with a Zoom command seem to map to the relational diagram. That was quick! Thanks for commenting Jeff! I’ve assigned “Ctrl-Equals” to “Zoom 150%”, and “Ctrl-Minus” to “Zoom 50%” under that less-than-helpful name: “Diagram-8888”, but neither shortcut key does anything with my relational model. Only mouse-clicking the actual magnifier with the plus or minus changes the model zoom. I even closed out SQL Developer, then re-opened. The shortcut keys I’ve assigned show that they’ve been saved; but they don’t do anything in the relational model. Does assigning to any of the Zoom shortcuts in “Diagram-8888” do anything for you when viewing a relational model? Ctrl-A followed by Ctrl-C is similar – except when I do this, I only have the data. I do not have the column headings. First off, Thank You for your helpful blog ! Is there anyway to have Ora SQL Dev 4.0 filter “within the grid” and NOT re-run the query adding the filter logic ? Also, like in Toad, it would be nice to run more than one filter at the same time with boolean logic. Searching a text in Chrome doesn’t work on this web page (not scrolling the results). It does when MS browser. Getting to the point, Version 4.0.1.14, Build MAIN-14.48 and I am pretty new to this editor. 1. I was trying to comment out some code with Ctrl + /, which is ok, when slash is being used from the keybord, not from NumPad. Why NumPad is not handling that? now a list of objects is presented starting from ‘a’. I type ‘i’, as I have invoice_tab table. The list of objects disappears, so I type further ‘nv’. Nothing. I hit [Ctrl-SPACE], nothing. I type almost the rest ‘invoice_’, I wait a bit (changing focus to this browser), come back, I hit [Ctrl-SPACE] again and after a while a list of objects starting with ‘invoice_’ appears. We have around 10k objects all together. Is it a performance issue? The database connection is not that bad here. from dba_ob[Ctrl-SPACE] – after a while (rather long one) I get a list with first object on the list ‘dba_obj_audit_opts’. Why, when I further type ‘j’, the list disappears instead of narrowing down the entries presented? Is there a setting to change this behavior, or, is it by design? 4. I type new line [ENTER] (empty line) , and again [ENTER] and then package name and DOT. I get presented with methods list but only up to starting with ‘G’ letter. How to increase the number of presented entries in the list? My method name starts with ‘P’. So I type P, the list disappears, then after 2 seconds [Ctlr-SPACE] as I was hoping for another hint list. After 3-5 seconds I get a list with 6 entries starting with P. Pretty long. I select my method. 5. Now I move my cursor one line up (to that empty line). I type the same package name and DOT. Nothing. No methods list (up to G at least), why? Are there any limits, dependencies (from a semicolon or an empty line)? Forgive my ignorance if this is pretty obvious. I am using standard settings (0.3 seconds in sql worksheet) and cannot see in settings anything obvious. Sorry, I don’t know what you mean by this…it seems to work well for me. I don’t even have MS Exploder installed on my Mac. I’m on vacation until Monday, I’ll take a look at your type ahead assistance issues later. At first glance it appears you have the automatic bit disabled, or you have the filter in place – it prevents an obnoxiously large list of objects from appearing automatically. To troubleshoot, observe the Log > Statements panel, you can see us query the data dictionary whenever you invoke the code helper. I have the same problem with Firefox (all versions incl 50.0). 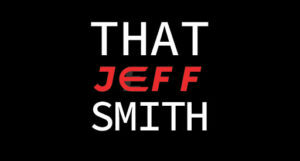 If i do to find something on this page or any page of thatjeffsmith.com, i get the box with the up and down arrow and the highlight All button etc.. But pressing on down arrow doesn’t bring me to the place I’m trying to find. Not sure why that’s happening, but the highlighting works…and most of my posts aren’t that long. Is there a shortcut for “Block Selection” since sometimes I need to disable this to get some kind of column mode? and all rows where column selection mode works perfectly. Repeating the same query as another user asked below, couldn’t find anywhere.. Hope you can help..
Is there a shortcut to close the Query Result / Script Output? I know I can jump into query result tab by pressing Alt+PageDown. I would like to close the result tab immediately after I check the results, using a shortcut key. 1: You are developing a select query and you may have to run it multiple times to develop it and make sure that the query is correct. 2: However when the query result is showing, there isn’t enough room to completely see the query you are developing. 3: You will have to close the Query Result / Script Output each and every time. 4: Now you wish there was a shortcut to do it easily. What can i do to organize my sql files . We have built in source control support, including for Subversion. Create a SVN project for your work. Version AND organize your work. Then use the Team panels to work with your files/code. Or at least, that’s one way to go. I have been using SQL developer for quite a few years and firstly, thank you. Its an excellent product. I now have 4.1.3.20. I was wondering if its possible to add a button to reconnect on the pane where we have the execute, block execute etc., buttons. Most of the time I work on with my worksheet maximized. So, at times, the connection times out and I need to navigate to connection view, right click on the connection and then click reconnect. Do, let me know if I have missed an existing shortcut! Sorry, it’s not possible today. Please tell me the shortcut for toggle comment selection, I need to comment the word only and not the entire line. Ctrl-Right navigate 1 word to right. \w+ , this would include underscore “_”. Ideally can we make word definition configurable ? I can’t see where this is configurable. Yup, you need to re-map the shortcut key sequence, just switch end of file with end of line and you should be good to go. Can just input “sf” then “space” to automatic replace sf to “select * from”? PLSQL can do that but how to use it in sqldeveloper? Pretty much, but it’s activated via ctrl+space, not just a whitespace character. 1. Navigate to Shortcut keys : Tools –> Preferences –>Shortcut Keys. 3.Under the category, find Code Template and assign a shortcut key for the same(Shift+Space is not used). 4. Navigate to SQL Editor Code Template : Tools –> Preferences –>Database –>SQL Editor Code Template. After following the steps mentioned above, you can enter the template and press the shortcut key. Great Tips from a blog aweosme blog. Really helpful informative points. thanks for the share Jamie. The best thing was I found out your blog when i was searching for SEO companies in London to see which companies comes up on the first page. Good to see true colors from the top rank SEO firm. Thanks for the share Jamie. Will be around reading some more posts to see what best you guys have. I often get lists of data that people want me to query, by way of an IN clause, is there a shortcut to format the list correctly? currently I drop in into excel first and run a formula over it. I’ve not played with it much, but you can create a macro in the editors. There’s also of course regular expression search and replace – I’d play with that. I love it how when I type Alt+F to bring up the File menu, an “f” gets typed in the editor window. I’m on version 3.2 and it’s like nobody has ever tried Alt+ for menu access before. Incredible! Inspires great confidence! 3.2 is about 3 years old…AFAIK it was working there and then. I just tried ALT+F in version 4.1, and it works just fine. I look forward to winning back your confidence. Thanks for your prompt and kind reply to the message I wrote when I was being a “snarky Jeff”. I’ve downloaded 4.1. It looks and feels a lot nicer all around, and Alt+F works as expected. Now for a trick, in a worksheet, type an object name. Hit Alt+G. That will auto-do an object search based on that text. When i try to use shift +f4 then it shows “No object found”,but that object exist in my schema. i already assign shortcut to concerned others>>opoup descibe. My Current version was 4.1.0.19. How can i enable that shortcut . Is there a shortcut to close the Query Result / Script Output ? It would be easy to work with if there were these.. Thanks for the great work. I strongly suggest to add one command: run single statement under cursor. I often need to write several queries in one SQL worksheet, and very often the one under cursor (i.e. being developed) needs to run. If this command is added to SQL developer, I can hit another command (e.g. Alt+Enter to run just one SQL). It will be so convenient that I do not need to select the statement before executing it. To be specific, if a statement has already started (i.e. its first non-blank char) before the blinking cursor, then run that statement, otherwise, run the statement before the blinking cursor. So I can hit a key to run a statement just after typing the ending ‘;’. Yes, it works. Maybe because I am using new version now. I remembered it run all the statements in past. Ctrl+Shift+W for creating connection with a different TNS and opening a worksheet for it. Is there a short cut to highlight a query/paragraph ? Something like “Shift+Ctrl+Up or Down Arrow Keys – Select paragraphs” in common windows applications. Where can you specify the caret position in a Code template? Is there any way to export some table in separate file but the name of each sql file should be in Lowercase.